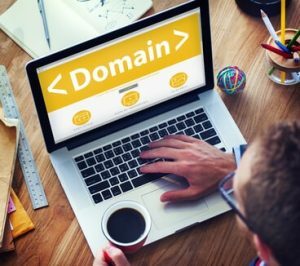 When I first started building websites, domain names along with almost everything else, seemed like a foreign language to me. I didn’t know what they were, let alone how to go about purchasing one. Once I finally found out where to get one, I was met with a ton of “optional extras” during the checkout process. Which ones did I need and which were a waste a money? I didn’t have a clue! But as with anything in life, now that I’ve done it a few times it’s become second nature to me. With that in mind, I’ll walk you through the entire process below and I promise to keep it a jargon-free zone. There are plenty of companies out there where you can pick up your very own shiny new website address. 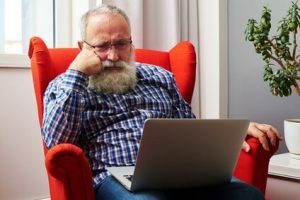 They vary in price depending on the type of domain and where you buy it, but a rough guide price you can expect to pay around $10-$15 per year. In the past, I’ve purchased through a few registrars such as Godaddy and Hostgator, these days I use Namecheap.com. The reasons for doing so are simple. They’re fairly priced, don’t offer too many upsells and my email inbox isn’t constantly stuffed with promotional emails. I’ll be using Namecheap as an example for the rest of the walk-through but feel free to use another domain registrar if you wish. When you head over to Namecheap, you’ll be greeted with a long box on the home page, type your desired domain name into the box and hit the “search” button. The next screen will tell you which versions of your chosen address are available such as dot com, dot net, or dot org. When you’ve made your choice, click on the shopping trolley icon and the “view cart” on the right-hand side of the screen. This will take you to your shopping cart and you’ll be offered some extras and add-ons. Some of these you need, some you might, and some you definitely don’t. The first option offers you a choice as to how many years you want the domain for. The more years you choose, the cheaper it is. I simply chose 1 year and then hit “auto-renew”. By doing it this way, once the year’s up they’ll automatically take payment for the following year. For me is just one less thing to think about. When you buy a new domain you’ll usually be offered a year free “whois guard”. When registering a new domain name all of your details are held on the Whois database. Anyone can simply perform a search online and find the owner’s details such as name, contact number and email address, a cold callers dream. For a few dollars, euro’s or pounds per year, your private information will be protected and made unavailable to the public. This is something I wouldn’t be without. Again, I choose the auto-renew option. Not really a choice here, you have to pay it. ICANN basically governs domain registrars and set out the terms and conditions etc. The fee they charge is per domain per year. Don’t worry, it will only set you back a few pennies. 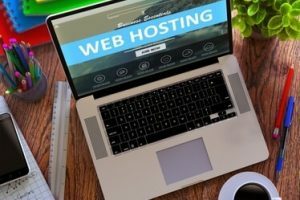 Namecheap offers their own hosting solution, a host is essentially the engine that powers your site and makes it “live” on the Internet. I personally don’t use Namecheap hosting and you don’t have to either. Once you’ve made a purchase, you’ll be free to host your domain with whoever you wish. An SSL (secure sockets layer) protects sensitive information when entered online such as payment details etc. SSL is important these days not only for your website, but it also helps your visitors feel safe when they see the green padlock in their browser. The above, in my opinion, is the only add-on really worth considering. Having said that, I prefer to pick up an SSL certificate directly through my hosting company instead. For me, it just makes the process of installing it that little bit easier. 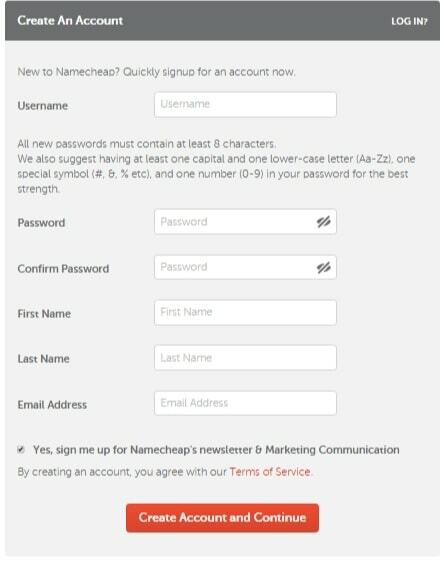 When you’ve made your choices, click the “confirm order” button and you’ll be prompted to create an account by choosing a username, password and the providing Namecheap with some basic information. 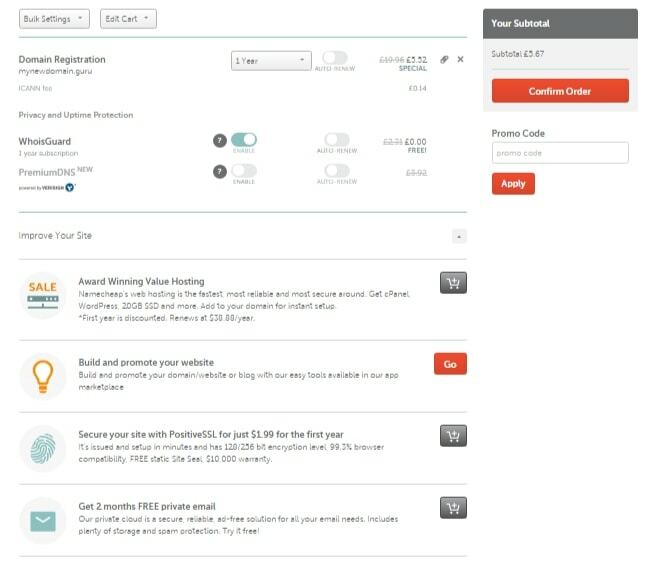 When complete, you’ll be taken to a final screen where you can complete the checkout process. I hope this guide has helped simplify the process for you. If it’s only made things worse (I hope not) or you have any questions or thoughts on the subject, then please don’t hesitate to contact me using the comments section below. next post: Business Websites vs Facebook Pages: Who Will Stand Victorious?